Got a brand new table? Or are your old balls looking a bit worse for wear? In this buyer’s guide, we’ll review 6 of the best sets of pool balls available as of 2019. We’ll also outline some key things to consider when buying, so you know what to look for when buying billiard balls. In this section, we’ll discuss some key things to consider when buying a new set of billiard balls. Already a pool expert? Skip to our reviews. There’s actually a few different pool ball designs available these days. Traditional solids/stripes. This is probably what you’re looking for. Each ball has a number and is either a full color or has a white top and bottom. There are a few variations to this style. For instance, some brands like to put the numbers on the white section of the striped balls rather than on the colored area as you’d expect. Modern solids/stripes. Some companies make unique solid and stripe sets. For example, painting a marble swirl on the balls or making the numbers white on a black background instead of black on a white background (which is what’s normally done). English reds/yellows. You might have noticed that in the UK they use solid red and yellow balls (plus the black) that don’t have numbers on them. Why do pool balls have numbers? 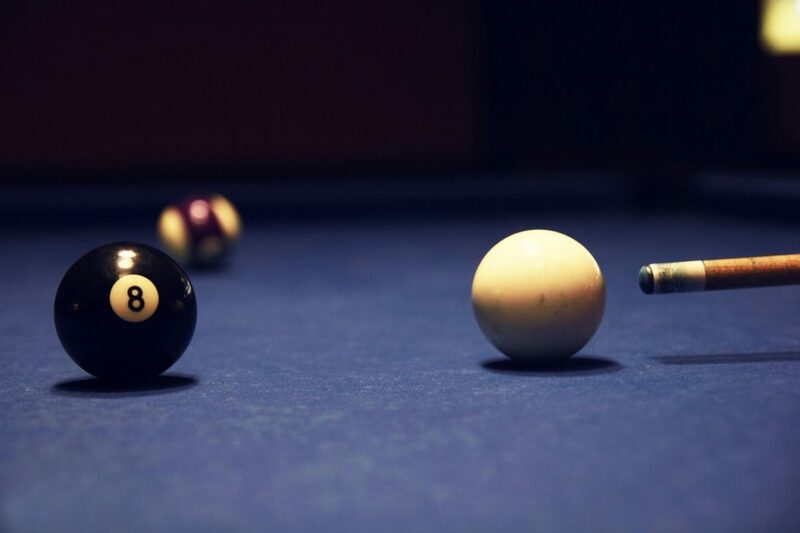 Billiard balls have numbers because this allows you to play games where the balls must be sunk in a certain order, like 9 ball pool. These numbers also make it easier to point out certain balls, which is useful when a player must nominate which ball they intend to hit. What are the official specifications of a billiard ball? Measure 2 ¼” plus or minus .005″ in diameter. Weigh 5 ½ to 6 oz. Be made of phenolic resin plastic. Be sure to look out for balls with these specifications if you want the best possible quality. Who makes the best pool balls? If you’re a serious player, nothing beats Aramith pool balls. The Belgian company’s products are some of the only balls on the market made with pure phenolic resin. As a result, they roll and bounce very consistently, and feel great to hit. They also last for absolutely ages – some models can be used for up to 40 years. There are cheaper brands out there that make balls with polyester/resin mixtures which aren’t quite as durable and can sometimes roll or bounce inconsistently. But if you want the best possible billiard balls, it’s worth paying for Aramith. When you play a shot, some of the chalk from the tip of your cue will be transferred onto the white ball. The cue ball will then transfer some of this chalk onto the object ball, meaning all of the balls on the table will have a decent amount of chalk on them after a few games. To clean this dust off your balls and ensure consistent play, you can simply use dish soap and a cloth. Be sure to inspect your balls to ensure there are no marks left before drying them thoroughly with a towel. For the best possible clean, Aramith has made a special cleaning solution. Simply use the cleaner with a microfiber cloth to polish your balls back to their original shine. Now it’s time to begin our reviews! Read on to find the 6 best billiard ball sets for sale right now. As we mentioned in our buyer’s guide, there aren’t really any better balls than the ones Aramith sells. The company has used pure phenolic resin in producing these balls, and they’re heat-cured using specialized “Vitrotech” technology. As a result, they last for absolutely ages. If your old balls have a few chips or scratches, or you’ve had one of them split, this durability is a great thing to have. Aramith even say their products last five times longer than lower-quality balls. As you’d expect from a premium set, these balls feel awesome to play with. They’re regulation size and weight, and perfectly round. They’re also friction resistant, meaning that they won’t leave burn marks on the cloth, and you can make explosive breaks with ease. Plus, they’re easy to clean and won’t spread chalk onto the table as much as other balls might. The only downside to these balls is their price: they’re quite expensive. However, considering how they play and how long they last, we think they’re worth the money. Feel great to play with. No ball burn, few chalk marks. If you want some good-quality balls but don’t want to spend a heap of money, Aramith makes a cheaper billiard ball set. These standard balls are manufactured to the size and weight specifications set by the BCA. They’re also made of the same phenolic resin as the premium set. Because of this, these balls are quite durable – they won’t crack easily. Plus, they’re scratch-resistant, and the cue ball doesn’t pick up much chalk from your tip. So what’s the difference between these balls and the premium option? The standard set balls are slightly less durable, as they haven’t been heat-cured with Aramith’s Vitrotech process. Also, they aren’t quite as glossy, meaning there’s more friction between the table and the balls, and a higher likelihood of getting the occasional burn mark. Aramith’s cheaper set might not roll quite as consistently as the more expensive product, but you’d have to be a very experienced player to notice any difference. Overall, these are great balls for beginner/intermediate players or pool hall owners. They’re durable, made to BCA specifications and perform very well. Just note that the numbers on the striped balls are located on the white area, rather than on the colored ring. This is the opposite of how most balls are painted, so be sure to check the pictures and see what you think. Good overall performance – feel great to hit. Great craftsmanship – nice and round, made with phenolic resin. More friction between ball and table – not an issue if you’ve got great-quality felt. Just one more Aramith set, we promise! This wouldn’t be a guide on the best pool balls that money can buy if we didn’t mention Aramith’s Tournament set. Designed for the pros, nothing beats these balls if you’re a serious player. They sound fantastic when struck – you get that nice thwack when playing mid/high powered shots using a quality pool cue. The super glossy finish on the surface of these balls means they generate very little friction, resulting in solid, consistent shots and no burn marks. While the premium set balls are supposed to last up to five times longer than an average ball, these beauties can be used for up to eight times longer than most cheaper billiard balls. 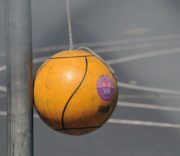 This is why it’s worth spending so much on the Tournament set: the balls can last for around 40 years of regular use, meaning you won’t have to replace them for a long, long time. If you’re still developing as a pool player, it’s still worth getting these balls. This is because they can help you find and eliminate flaws in your game more efficiently. 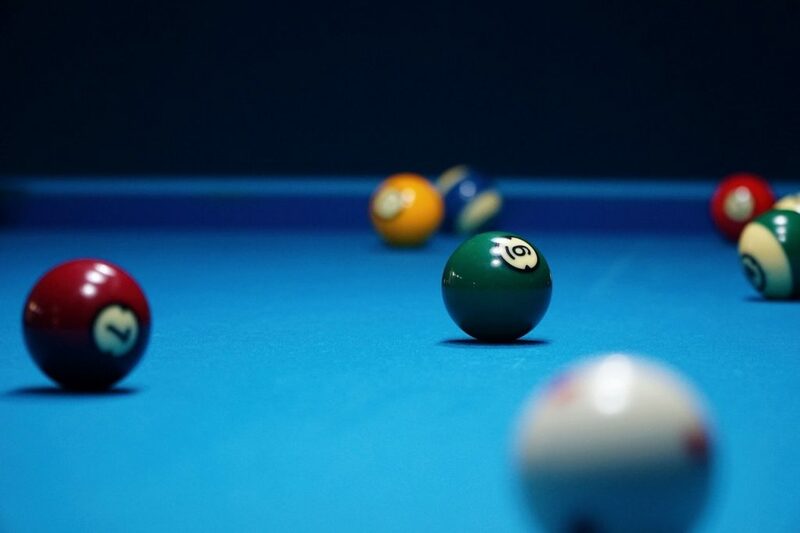 If you’re sure that your balls and your table are flawless, you’ll know that any misplaced positional shots are the result of an incorrect contact position on the cue ball, improper stroke technique, or shooting with too much or too little power. As a result, you’ll be able to work out what you’re doing wrong and improve as a player much faster than you would otherwise be able to. Pro-level performance – simply amazing to play with. Will last for an incredibly long time – up to 40 years. Don’t pick up much chalk – easy to clean. Now we’ll take a look at some less expensive billiard ball sets. Iszy Billiards’ set is much cheaper than the three Aramith sets we’ve looked at so far. This is because they use polyester in the production process – these balls aren’t 100% phenolic resin. As a result, they don’t play as nice as higher-quality balls do. 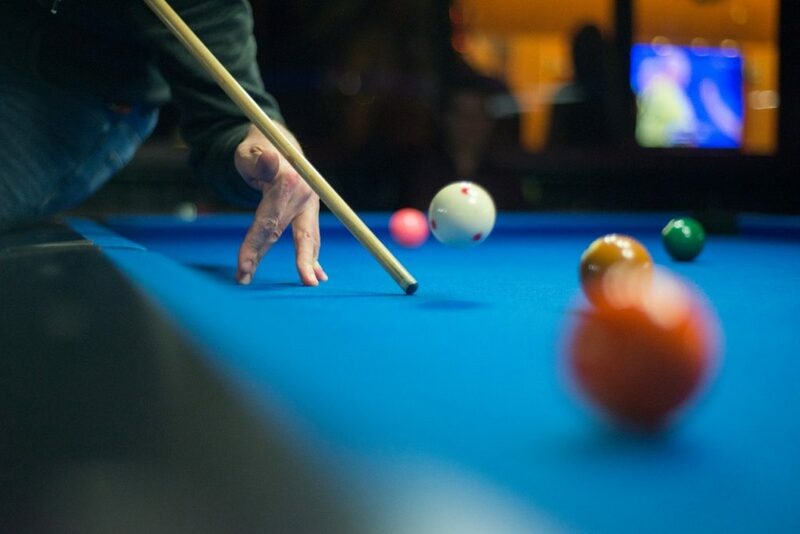 You might notice a little bit of deviation when the balls roll, and the cue ball will leave the odd burn mark on the table if you play shots with pace. However, these balls are still pretty great considering what they cost. They’re made in compliance with BCA size and weight guidelines and are pretty durable. They’re also weighted nicely – you won’t experience any crazy deflections when shooting English. What’s more, they don’t pick up all that much chalk (depending on which brand you use) – the surface is nice and glossy. If you’re a casual player, or you’re operating a table in a bar/hotel, these balls are exactly what you need. As a new player, you won’t notice much difference between these balls and one of Aramith’s sets. Good feel when playing strokes. Don’t pick up much chalk. Not quite as consistent as Aramith’s balls, but this is to be expected at this pricepoint. Fortunately these balls aren’t actually made of marble – they’d crack pretty easily if they were! Instead, like with their regular set, Iszy Billiards have used polyester resin to produce these balls. As a result, they play pretty well, and are weighted nicely. However, they can leave burn marks on the table and don’t roll as nicely as a phenolic resin ball. Considering these balls play the same as Iszy Billiards’ regular balls but are much more expensive, what’s the point in buying them? Simply put: the marble design looks awesome. They’re even better in real life than they look in the photos. The swirls are incredibly intricate, and combined with the glossy finish and precision-painted markings, the end result is a ball that looks like no other. You’ll be sure to get a heap of compliments if you get your buddies over to try them out. This set would make an excellent gift – even if you didn’t use the balls often they’d make a great collector’s item. The only issue with this set apart from the price is it can be hard to differentiate between solids and stripes at times – you might have to look at a ball twice to see if it’s yours or not. Expensive considering they’re polyester resin. These are some of the cheapest pool balls you can buy at the moment. Despite this, they actually feel decent to play with. Each poly resin ball is weight calibrated, so you won’t experience many deviations when shooting, although they aren’t quite as consistent as phenolic resin balls. The polished surface offers good speed and won’t leave many burn marks on the table. This set of balls is made to BCA regulations, but if you weigh them you might notice inconsistencies. Some balls may be a few grams heavier or lighter than others, which can be an issue for serious players. However, considering what you pay, Empire’s product is fairly durable. If you use the balls a lot they can get scratched, but they’re highly unlikely to crack in half. If you own a public coin-operated table, these balls are a good option. They’re cheap, so it’s not a huge deal if one or two get stolen, and they’re fairly durable. 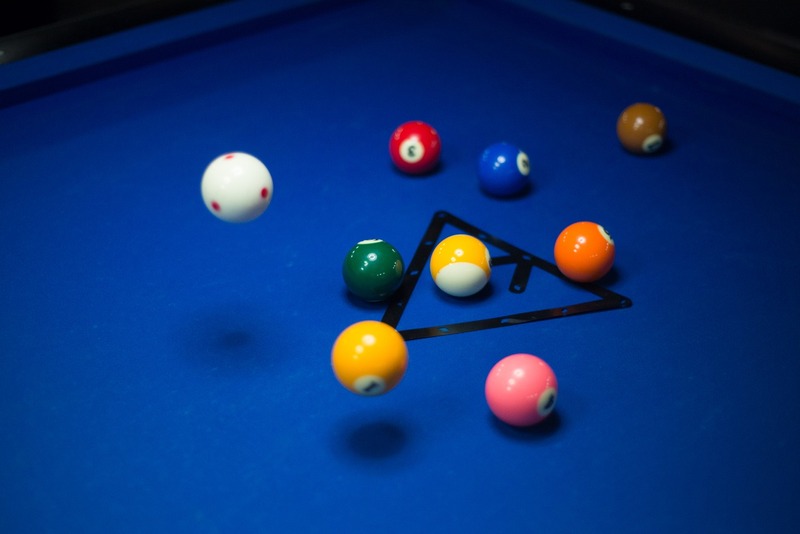 You’ll need to replace the cue ball with a magnetic or oversized one though, depending on how your table operates. Don’t always weigh the exact same. You’ve reached the end of our billiard ball set buyer’s guide! Hopefully you found the right set of pool balls for your needs. If you’re still not sure what to buy, leave a comment and we’ll respond ASAP!